The live streaming race rages on. Facebook and Twitter battle back and forth over sports, influencers search for exciting new ways to make money from it, VR developers tinker away and now Twitter are making wildly ambitious promises about eternal broadcasting. Twitter are adopting an 'always-on' approach to live-broadcasting, effectively turning the platform into a new kind of 24/7 network, showing entertainment, news, sport and everything in between, all day every day. Familiar format, unfamiliar setting. The idea of it is that users will be able to dip in and out of live content as and when interesting things are brought to their attention. Say, for instance, you're in two minds about watching a basketball game, then you notice that half the people on your feed are tweeting about it. Hit one link and you're there. The same principle could be applied to a breaking news story, live feed of a gig or just about anything else. This is an ambitious undertaking, one which Twitter currently lacks the means to achieve, but if enough broadcasters, networks and franchises get on board, it's not impossible. 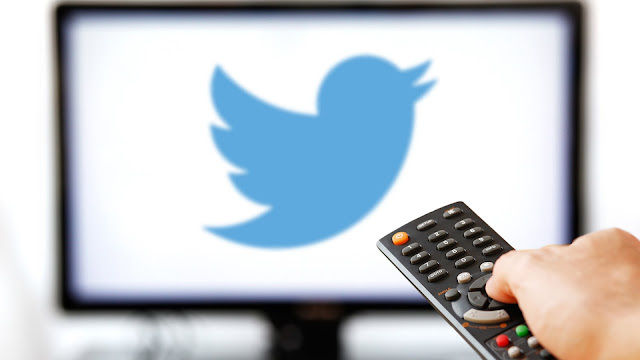 Twitter recently lost the battle for Thursday night NFL broadcasting to Amazon, but there's plenty of real estate left out there for them to claim. Of course, it does mean that they'll have to deviate away from any high concept, in-house broadcast projects. In order for this to work, it's going to be about quantity over quality, Twitter will need to stretch their budget as wide as they can to make sure there's a strong enough variety of content to keep people interested. If they manage to pull it off, though, Twitter could become a new kind of haven for live streaming, and before long they could be fielding offers, rather than making them. The ad revenue for 24/7 broadcasting is currently speculative, but excitingly so. If this works the way Twitter want it to, it could not only sustain them financially and strengthen their stock valuation, but change the way broadcasters approach live content full stop.